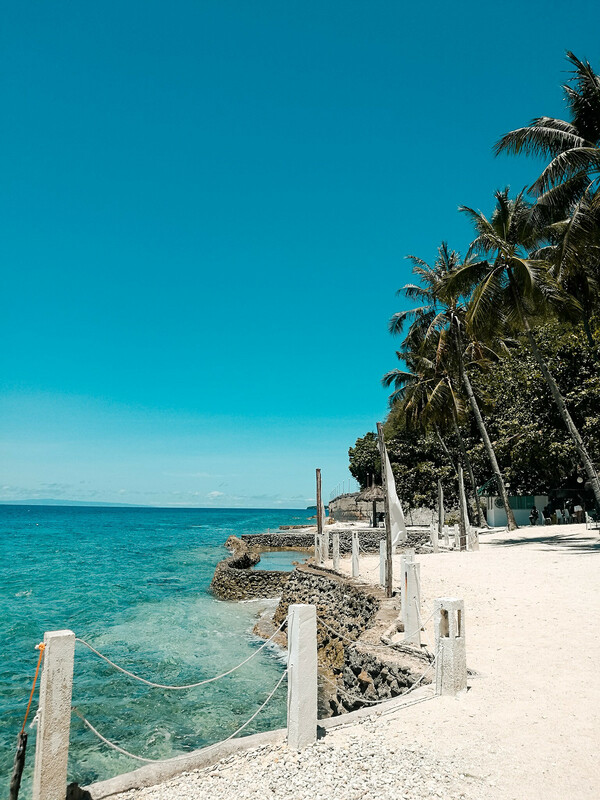 It's been a while since I took a trip to the Southern part of Cebu and I'm so happy that last week, I was able to hop on the bus again going down south. 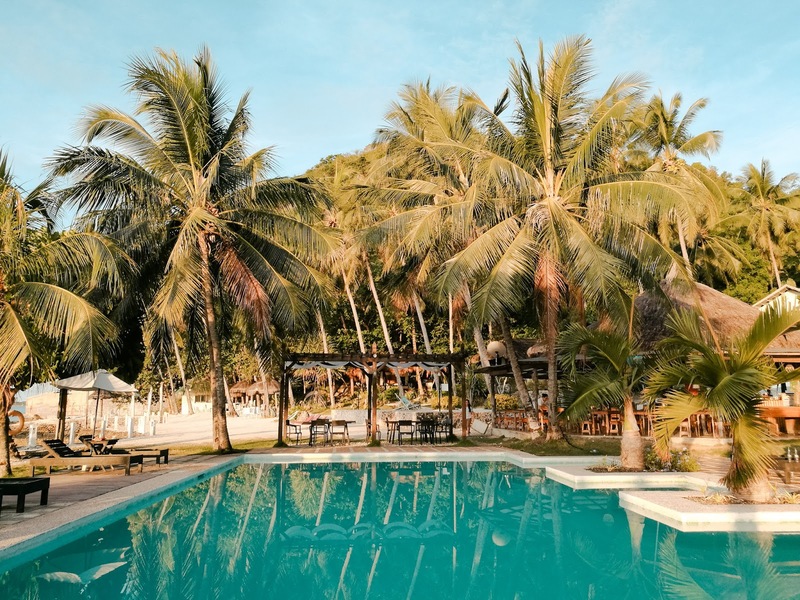 I, together with Zayn and my sister, went to the Municipality of Boljoon, around 3-4 hours from the city, to have a short staycation at Cebu Club Fort Med Resort. 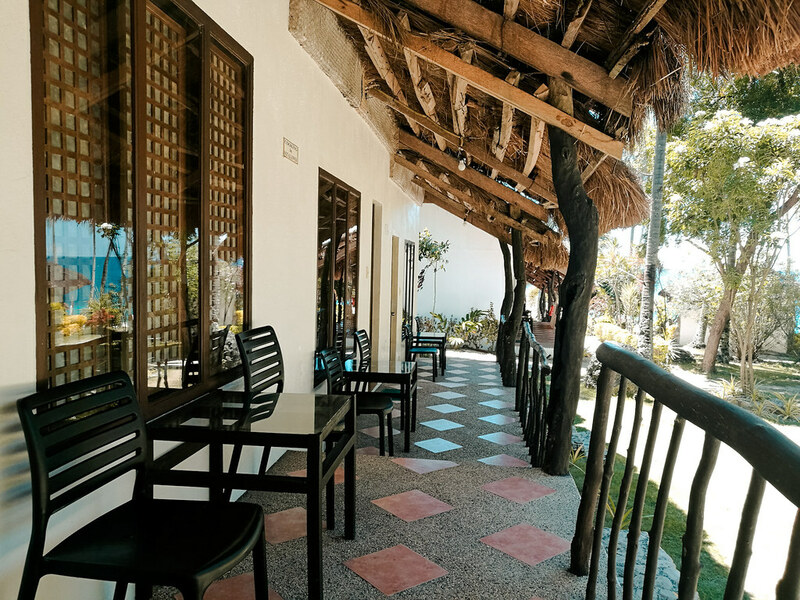 We had a pleasant stay at the resort although there were a few setbacks but overall, everything was good. It was around 6:30 in the morning when we departed for Boljoon via a van rented by my sister's workmates. It was their team outing and Zayn and I were my sister's plus ones (or in our case, plus two. LOL). 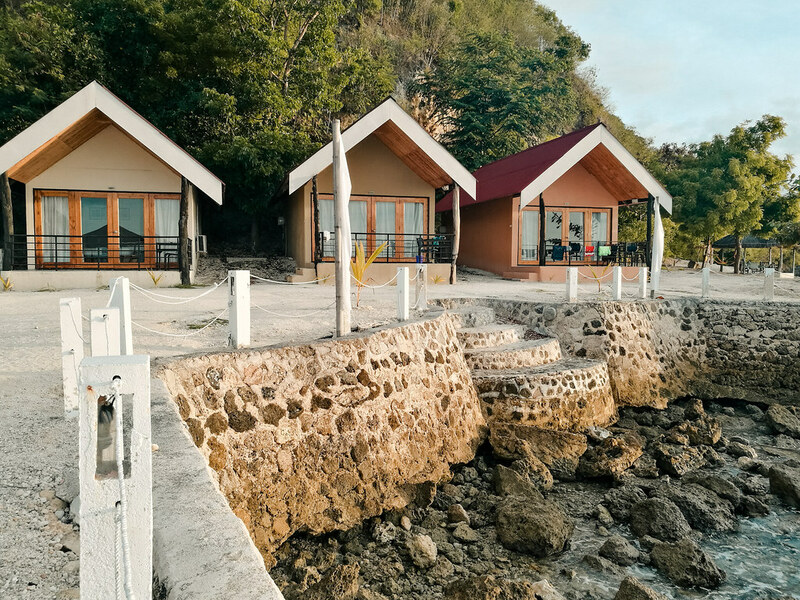 Their outing was scheduled only for the day and since we wanted to make the most out of that trip, I booked us a row house room at Cebu Club Fort Med Resort via Agoda beforehand. So anyway, around 9AM, we finally arrived at the resort. This is how the resort looks like from their lobby or receiving area. It was bright and sunny so it was a perfect day to explore and enjoy the entirety of the resort. 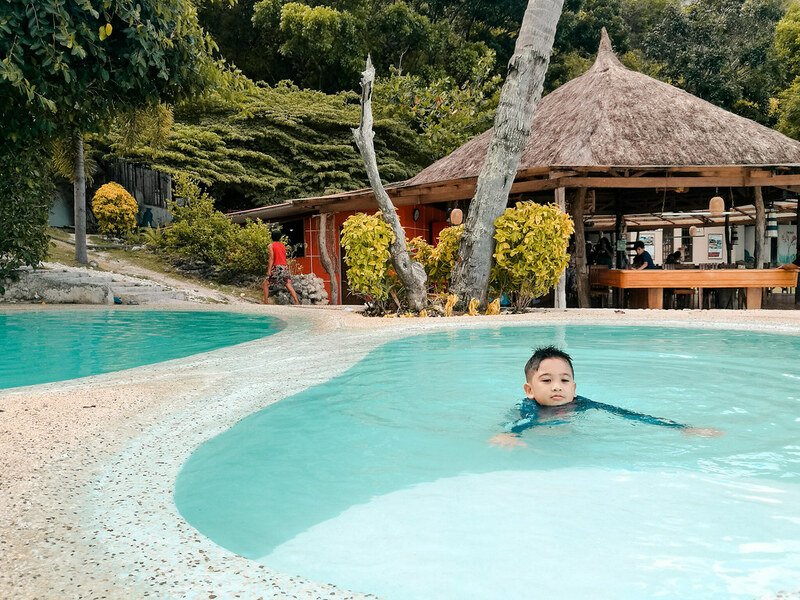 My sister and workmates did their team outing thing so Zayn and I watched them playing their games, roamed around the resort, and most of the time, lounged by the pool. 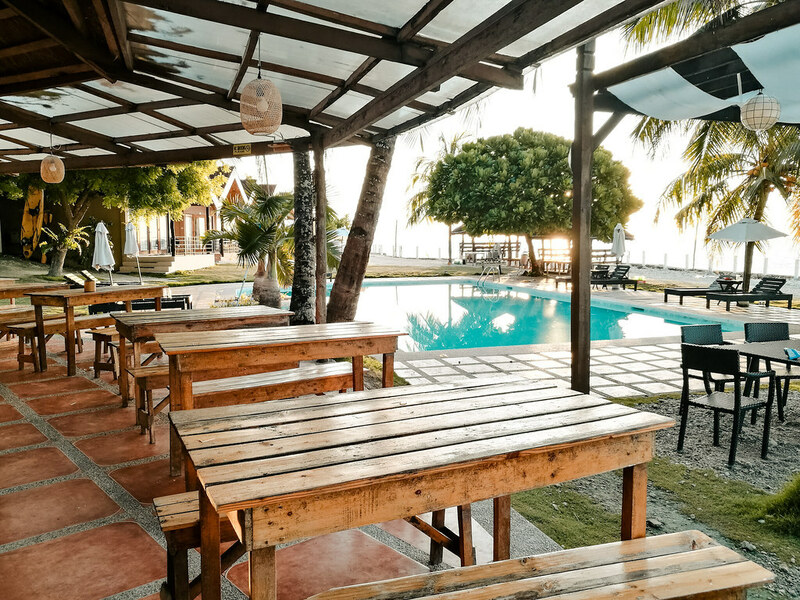 These are the open cottages available for rent for day trips. 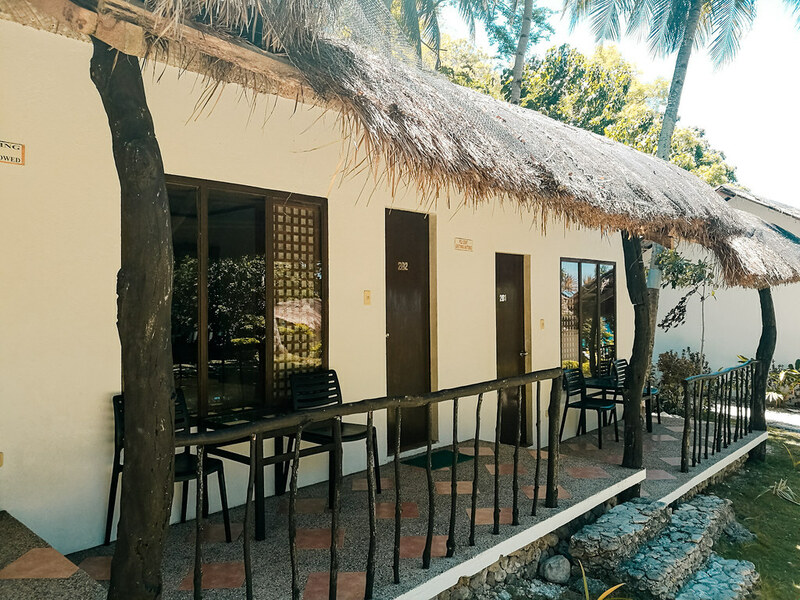 The cottages can only accommodate a maximum of 15 people. 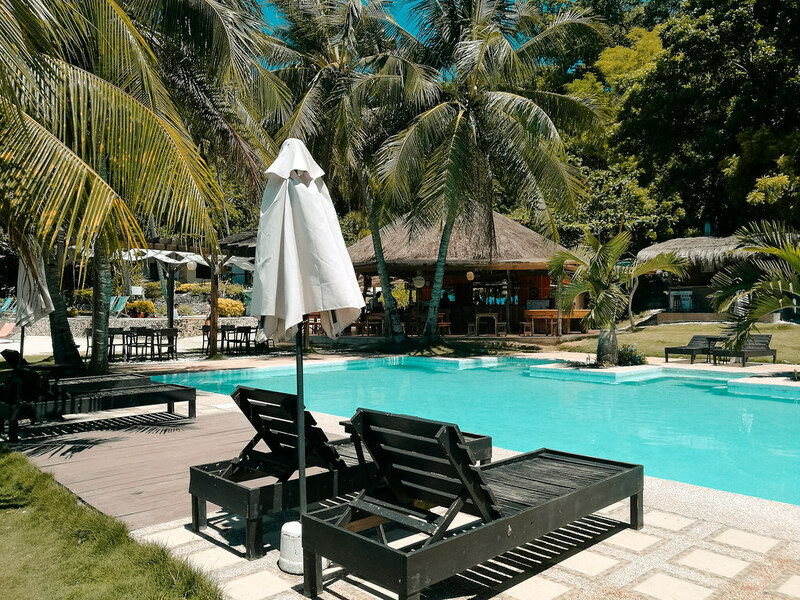 One thing you must note about Cebu Club Fort Med Resort is that their beach area is not really kid-friendly (in case you're bringing kids with you). The rocks are huge and the waves are really strong, and based on what the people who swam in there, there are a lot of sea urchins too. 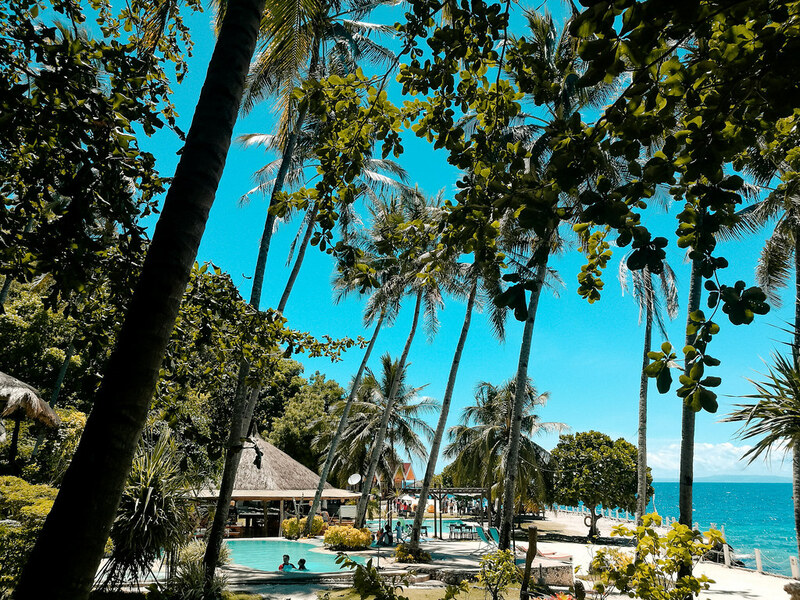 The resort is situated between the mountains and the sea, so you can't really expect a white sand beachfront. 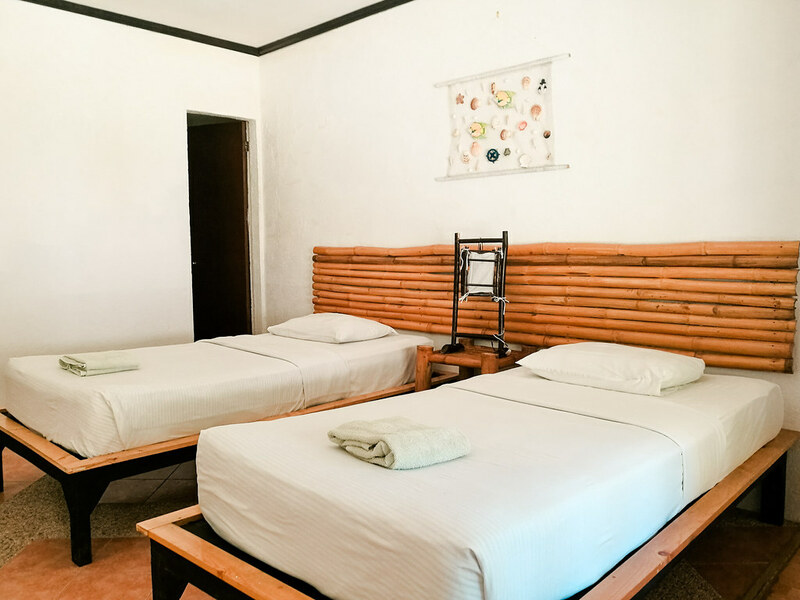 The resort has three types of rooms: Row House Type, Single Detached, and Casita rooms. 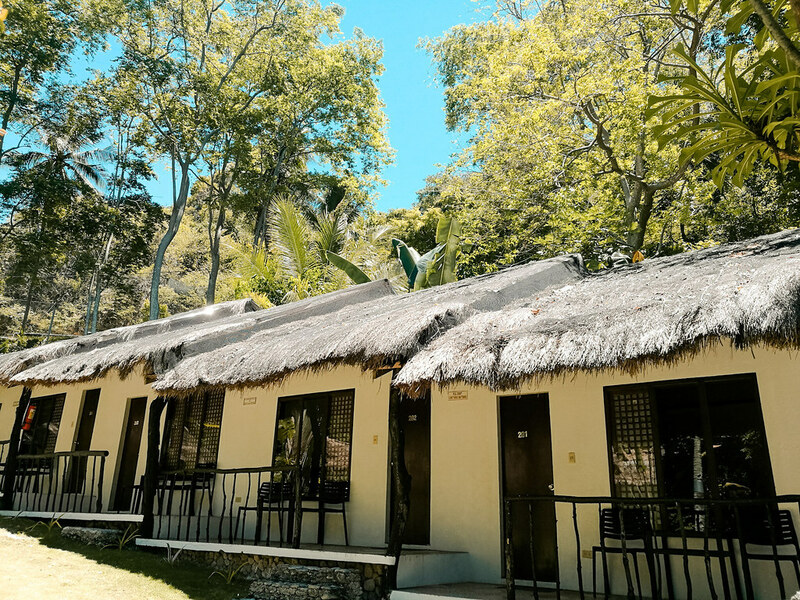 The Casita is the most expensive room as it's the biggest and gives you a panoramic view of the beach. They also have their own bar and restaurant, so we didn't really mind about bringing food except for some snacks and chips. The prices of their food are average, not so cheap but not so expensive. The good thing is they serve really good food so the prices are just worth it. 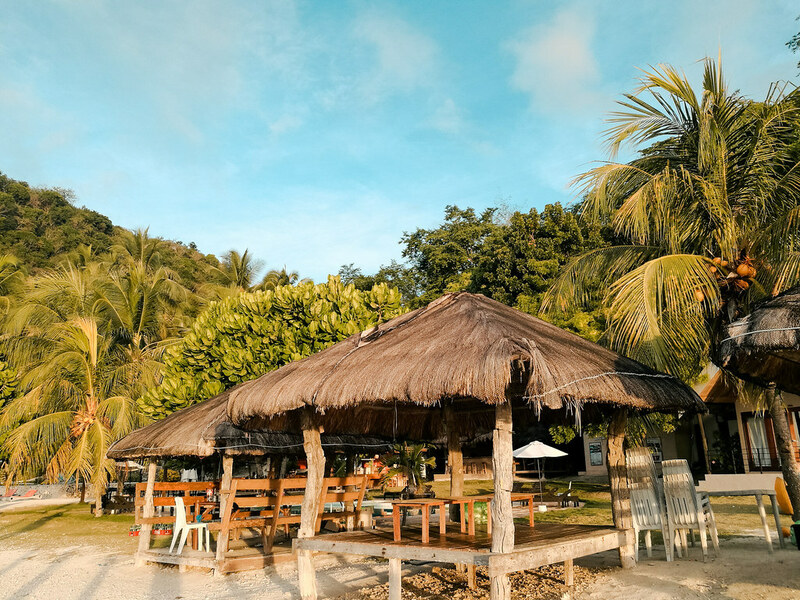 So if you're interested to book a day trip at the resort with your workmates, family, or friends, Club Fort Med Resort offers a package of Php 450 per person inclusive of buffet lunch with one round of drinks, morning or afternoon snacks with one round of drinks, use of facilities and amenities, and use of their open cottages. This package can only availed for a group with a minimum number of 30 persons. To know more about it, you can contact the resort directly. I'll be posting their contact numbers at the bottom of this post. 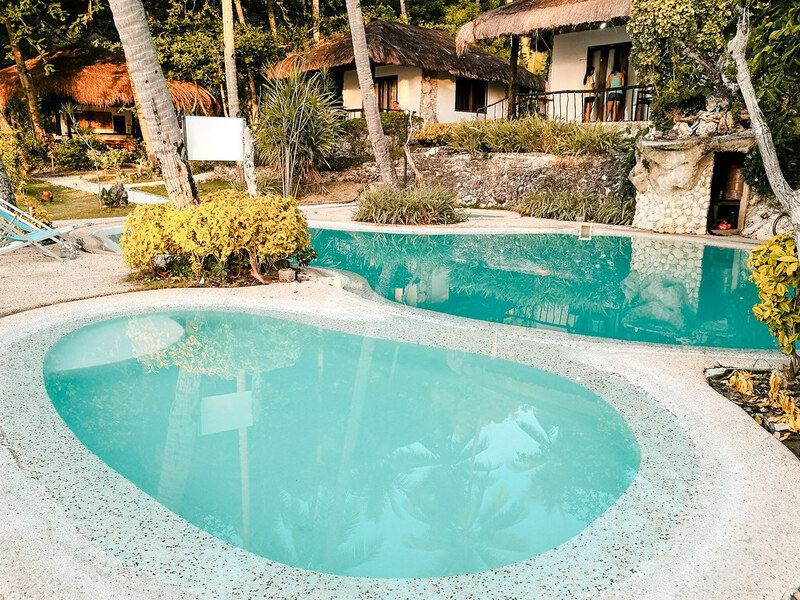 Cebu Club Fort Med Resort has three swimming pools. 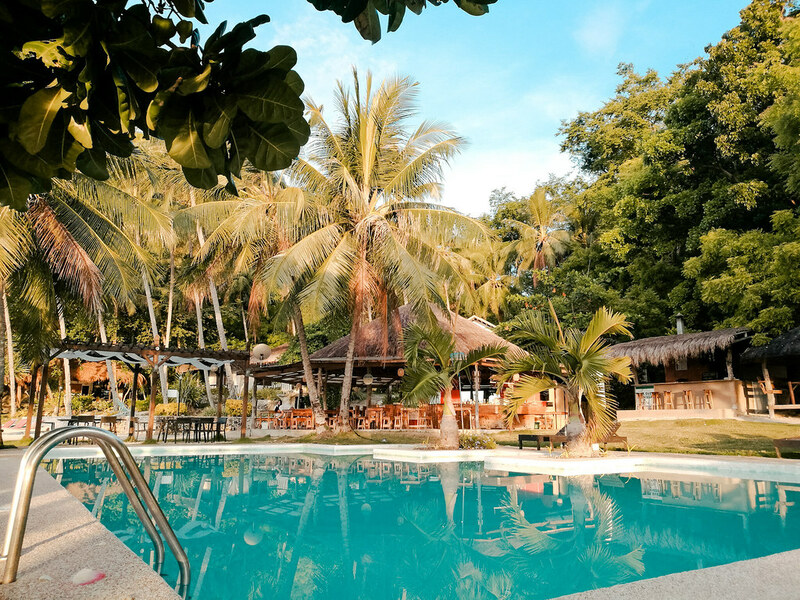 The main pool is located in front of the restaurant and the other two are beside the restaurant. Two of the pools are for adults and one is for the kids. As mentioned earlier, the room that we booked at Agoda was the row house type since it was the cheapest. 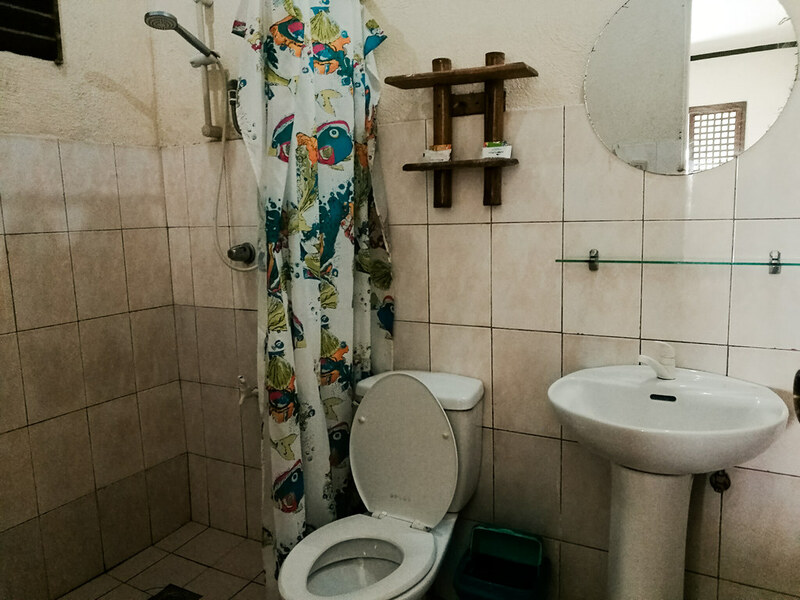 It's an air-conditioned room that's good for two adults and two kids and has a hot and cold shower. My mistake was not reading the available amenities for the room when I booked it. The room had no TV so it was really just a room meant for sleeping and shower. Haha. Their website says that WiFi is available but it's not true. Heck, there was even no service inside our room. The WiFi signal is only strong around the restaurant and pool area. The water flowing out from the shower is very minimal and almost nonexistent. There was even one time when I was taking a shower and the water had an on-off situation which pissed me off. The water in their shower is saltwater/seawater. If I were to rate the cleanliness and the overall state of the room, it would be 5 out of 10. 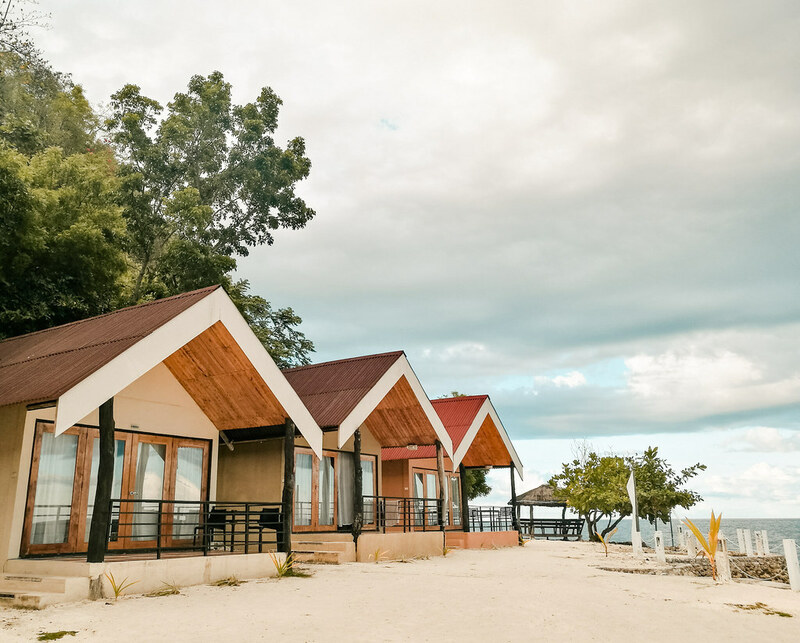 We paid 1,900+ for the room but to be honest, our room at Budyong Beach Resort during our Bantayan Island trip was waaaaay better and it was priced at Php 1,800. The Php 100 difference is minimal but it was the state of the room that they differed so much. But despite the disappointments, we still enjoyed the stay, most especially Zayn because it was the swimming pool that he really loved. But really, he'll love any resort with a swimming pool! Haha. If you ask me will I come back to Cebu Club Fort Med Resort, I'll say NO for now. The resort seems nice indeed, Lydia! And yes, the beach can be a problem especially when you prefer it than the pool. Hehe. Looking forward to reading about your stay here someday! Thank you for dropping by! Really wish you can visit it soon!